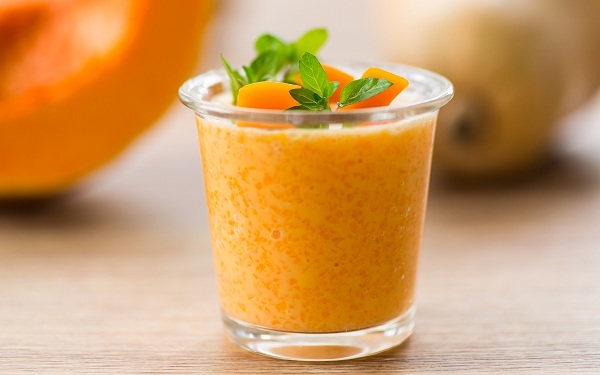 Smoothies are popular beverages, but most of the recipes I see circulating are better defined as desserts…they often contain a lot of juice and sugar, not much fiber, and overall not the best ingredients. I wanted to focus this week’s post on the best of the best: the most delicious, whole-food kinds of smoothies. All but #5 are naturally high in protein, and #’s 3-4 work great as detoxification support. All recipes here are packed with a variety of natural vitamins and minerals, nothing synthetic here! 1. 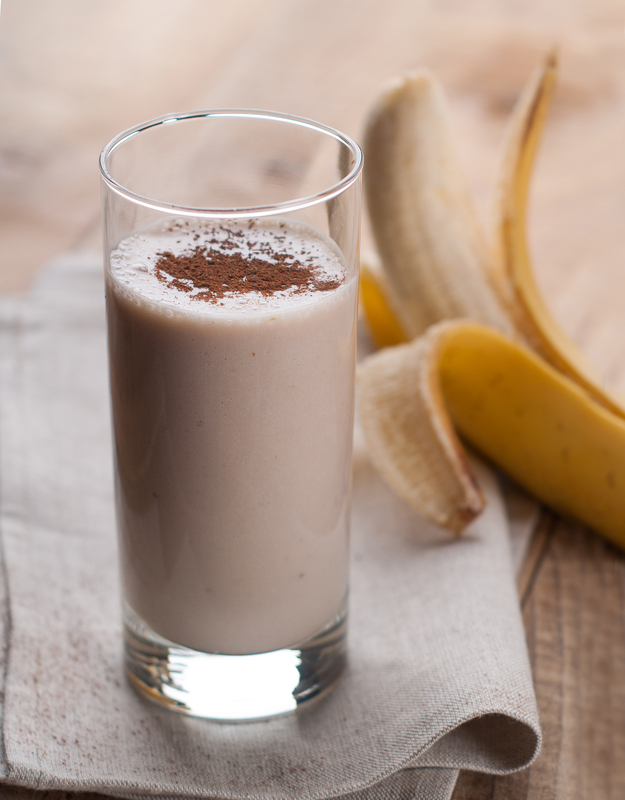 Cocoa, banana, and peanut butter smoothie. (my personal favorite.) Can be made dairy-free. This is one of the best sport drinks! High protein, high potassium, lots of bioflavonoids, antioxidants, and arginine, which supports healthy blood vessel function. Blend all ingredients until smooth. Protein: 16.75g (based on 1 cup cow milk, 2 Tbsp nut butter and 1/2 banana) or 10g when almond milk is substituted. This one boasts a high carotenoid content due to the mango. I recommend amending recipe to use plain yogurt with a few drops of vanilla extract, and a teaspoon of honey as an option. 5. 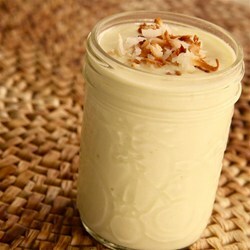 Green Sunrise Smoothie: makes several servings. Put dark leafy greens, cucumber, lime juice, water into a high speed blender and blend for a minute. *buy organic greens, carrots and strawberries whenever possible. 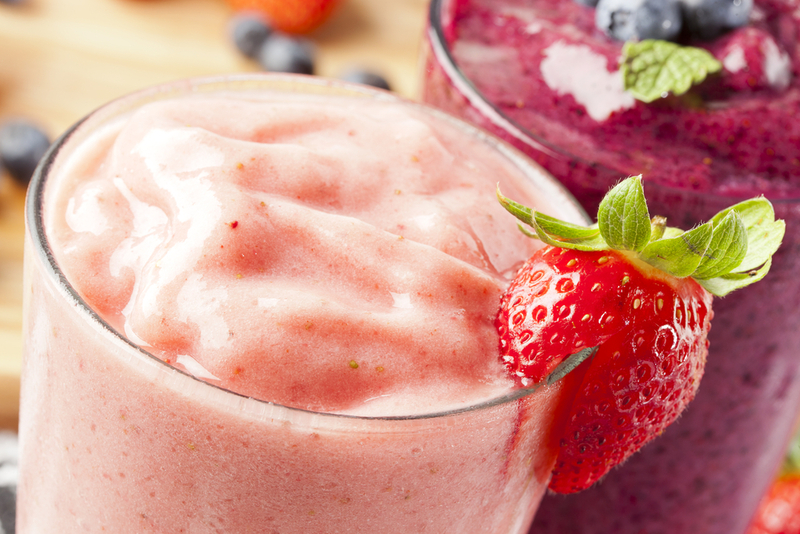 Combine strawberries, Greek yogurt, banana, almond milk and honey in a blender container. Blend on high till smooth and creamy. Add ice cubes and blend on high for about one minute.Taste and add a bit of Stevia or sweetener of choice, if needed. Pour into two tall serving glasses and enjoy. by Cora Rivard, Naturopathic Doctor (N.D.) Seasons Natural Healthcare, LLC in Derry, NH.